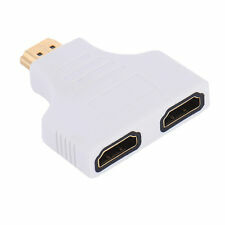 Input and output AWG26 HDMI standard cable can reach up to 5m. 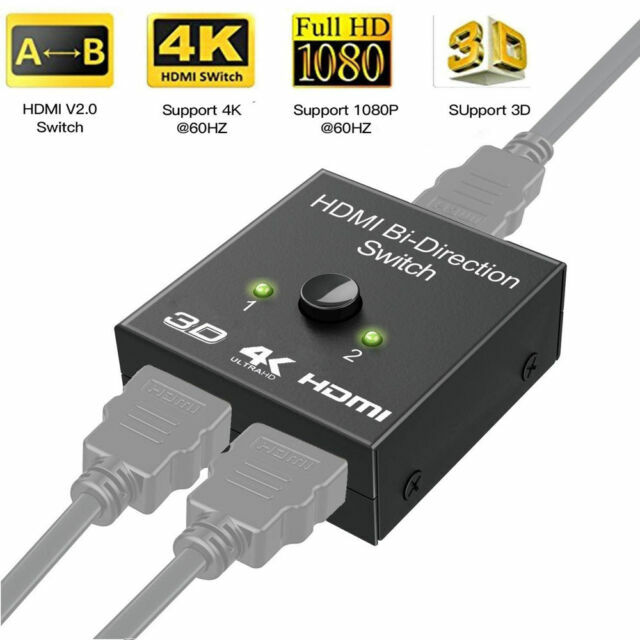 High Resolution: Support 3D, 1080P, 4K x 2K resolution and HD audio, with this HDMI switch you can enjoy the most luxurious video and audio. It's plainly labelled, so should be easy to use, but not for me. I have to keep switching plugs and the selector switch until I find a combination that works, then do it all over when switching from headphones back to speakers. I've gone back to the old way, just switch plugs on the back of the computer. 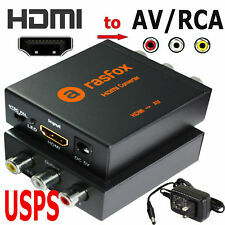 The quality of this HDMI splitter is acceptable given its low price. It does the job well for me when I use it to switch between two HDMI displays for my Raspberry Pi Zero. The only thing that's inconvenient is that you cannot switch between the display devices on the fly if the resolutions are not the same. In my case, I have one large and one small HDMI monitor. If I want to switch between the two then I will need to shutdown my Raspberry Pi and restart again after switching to the other monitor. The splitter works. Perhaps as a 720p or 1080i resolution. I tried it on my 2017 SONY 4K HDR TV. PS4 PRO games looked blurry at times and the colors where completely washed out. Extremely disappointed. Works perfectly. Well built. Great Price.